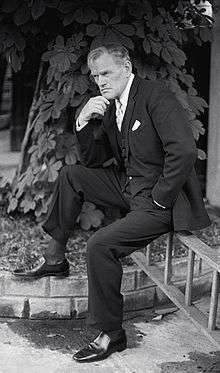 Harry Fleetwood Andrews, CBE (10 November 1911 – 6 March 1989) was an English actor known for his film portrayals of tough military officers. His performance as Sergeant Major Wilson in The Hill alongside Sean Connery earned Andrews the 1965 National Board of Review Award for Best Supporting Actor and a nomination for the 1966 BAFTA Award for Best British Actor. He made his film debut in The Red Beret in 1953. 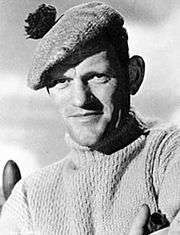 Harry Andrews was born on 10 November 1911, in Tonbridge, Kent. He was the son of Henry Arthur Andrews, a General Practitioner, and Amy Diana Frances (née Horner). Andrews attended Yardley Court School in Tonbridge, and Wrekin College in Wellington, Shropshire. From October 1939 to October 1945, Andrews served with the Royal Artillery during the Second World War. Andrews died at the age of 77 on 6 March 1989, at his home in Salehurst, leaving behind his long-term friend and partner Basil Hoskins. In addition to film work, Harry Andrews also appeared in several television series. In the early 1960s, Andrews appeared in two episodes of Armchair Theatre. In 1975, he played Colonel Bruce in Edward the Seventh. The following year, Andrews portrayed Darius Clayhanger in a television series based on The Clayhanger Family novels. In 1985, Andrews was interviewed on an episode of the documentary series This Is Your Life. In 1978, he played one of the Kryptonian elders during the sentencing of the three villains in the film Superman. 1 2 3 4 5 Ian Herbert, ed. (1981). "ANDREWS, Harry". Who's Who in the Theatre. 1. Gale Research Company. p. 18. ISSN 0083-9833. ↑ "Basil Hoskins". The Telegraph. 11 February 2005. Retrieved 2009-06-05. 1 2 3 4 Yarrow, Andrew L. (8 March 1989). "Harry Andrews, Actor, Dies at 77; In 'The Hill' and 50 Other Movies". New York Times. p. B10. Retrieved 2009-06-05. ↑ "Best Supporting Actor". National Board of Review of Motion Pictures. 2003. Retrieved 2009-06-06. ↑ "BAFTA Awards: 1966". Internet Movie Database. 2009. Retrieved 2009-06-06. 1 2 "Harry Andrews". Internet Movie Database. 2009. Retrieved 2009-06-06.